Modell: Jekich1, Virat, SCS: - 3D model. Smith: - Template, help with animation, etc. Fire-Blade: - interior modeling, modeling. Stas556: - an envelope, a residence permit. NN-Mihail: - Technical Support Virat - interior modeling, modeling. Kriechbaum - Sounds, registration of engines and transmissions, setting up Tracy N Nathan Anderson: - Technical support Driver Geo: - Test, Video, Technical support Evelin_Sophie: - Skin Pack. Test Mick Brown - Technical support. Tracy N Nathan Anderson: - Technical support. Adaptation under 1.27 - Phantom94, vovangt4. Textur: Jekich1, Virat, SCS: - 3D model. Smith: - Template, help with animation, etc. Fire-Blade: - interior modeling, modeling. Stas556: - an envelope, a residence permit. NN-Mihail: - Technical Support Virat - interior modeling, modeling. 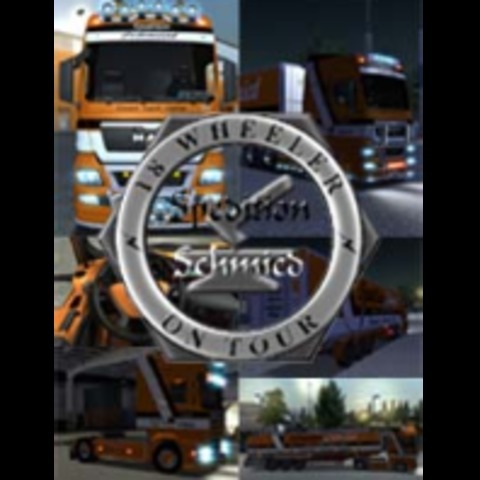 Kriechbaum - Sounds, registration of engines and transmissions, setting up Tracy N Nathan Anderson: - Technical support Driver Geo: - Test, Video, Technical support Evelin_Sophie: - Skin Pack. Test Mick Brown - Technical support. Tracy N Nathan Anderson: - Technical support. Adaptation under 1.27 - Phantom94, vovangt4. Script: Jekich1, Virat, SCS: - 3D model. Smith: - Template, help with animation, etc. Fire-Blade: - interior modeling, modeling. Stas556: - an envelope, a residence permit. NN-Mihail: - Technical Support Virat - interior modeling, modeling. Kriechbaum - Sounds, registration of engines and transmissions, setting up Tracy N Nathan Anderson: - Technical support Driver Geo: - Test, Video, Technical support Evelin_Sophie: - Skin Pack. Test Mick Brown - Technical support. Tracy N Nathan Anderson: - Technical support. Adaptation under 1.27 - Phantom94, vovangt4. Idee / Konzept: Jekich1, Virat, SCS: - 3D model. Smith: - Template, help with animation, etc. Fire-Blade: - interior modeling, modeling. Stas556: - an envelope, a residence permit. NN-Mihail: - Technical Support Virat - interior modeling, modeling. Kriechbaum - Sounds, registration of engines and transmissions, setting up Tracy N Nathan Anderson: - Technical support Driver Geo: - Test, Video, Technical support Evelin_Sophie: - Skin Pack. Test Mick Brown - Technical support. Tracy N Nathan Anderson: - Technical support. Adaptation under 1.27 - Phantom94, vovangt4. Tester: Jekich1, Virat, SCS: - 3D model. Smith: - Template, help with animation, etc. Fire-Blade: - interior modeling, modeling. Stas556: - an envelope, a residence permit. NN-Mihail: - Technical Support Virat - interior modeling, modeling. 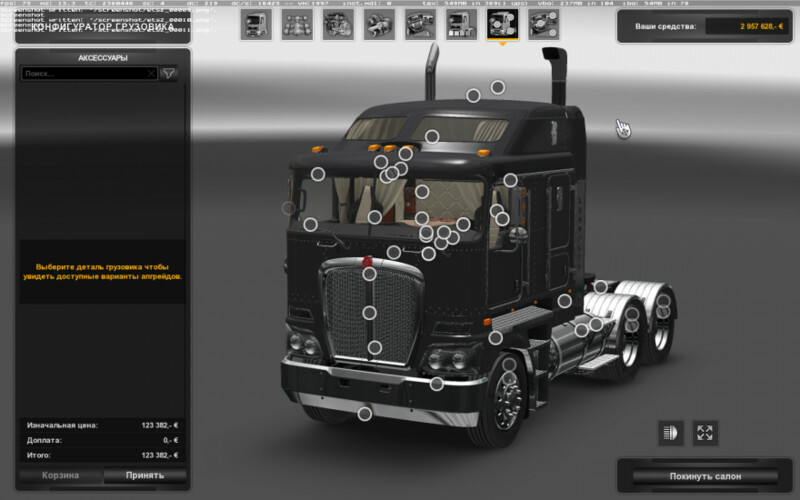 Kriechbaum - Sounds, registration of engines and transmissions, setting up Tracy N Nathan Anderson: - Technical support Driver Geo: - Test, Video, Technical support Evelin_Sophie: - Skin Pack. Test Mick Brown - Technical support. Tracy N Nathan Anderson: - Technical support. Adaptation under 1.27 - Phantom94, vovangt4. Sonstige: Jekich1, Virat, SCS: - 3D model. Smith: - Template, help with animation, etc. Fire-Blade: - interior modeling, modeling. Stas556: - an envelope, a residence permit. NN-Mihail: - Technical Support Virat - interior modeling, modeling. 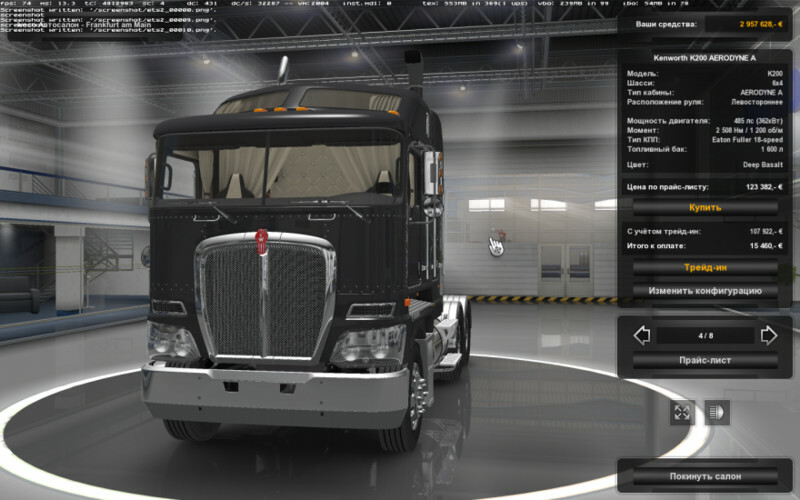 Kriechbaum - Sounds, registration of engines and transmissions, setting up Tracy N Nathan Anderson: - Technical support Driver Geo: - Test, Video, Technical support Evelin_Sophie: - Skin Pack. Test Mick Brown - Technical support. Tracy N Nathan Anderson: - Technical support. Adaptation under 1.27 - Phantom94, vovangt4. Wenn ich den K200 aktiviert habe, winseln die Reifen meines New VOLVO´s um Gnade und wenn ich den Tempomat runternehme ( also der Retarder anspringt ) pfeift die Karre, als würde eine Dampfpfeife im Auspuff stecken! Steam heisst ja bekanntlich Dampf, aber so wörtlich wollte ich es doch nicht nehmen :-))! Geht mal gar nicht!!! 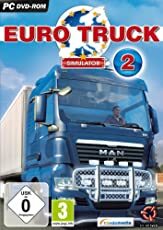 Schade um den wirklich bildschönen Truck mit vielen Anbauteilen, vielen echt - Tschuldigung - GEILEN SKINS und Features!